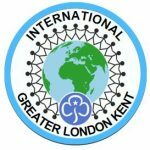 Welcome to The Senior Section within Greater London Kent. Members of GLK’s Senior Section can choose from an exciting and flexible programme with a huge variety of challenges and opportunities for personal development, including travel in the UK and around the world, volunteering with younger girls within Girlguiding as a Mentor or Leader, and working towards valuable qualifications. You can join one of the many Ranger Units that exist around the County in order to enjoy the Senior Section opportunities with a group of peers. Rangers are units of girls that meet weekly or bi-weekly (to suit school and college work) in order to enjoy a girl only space to take part in activities together, to follow the Senior Section programme, and to chill and get away from homework! The Look Wider Programme offers a range of activities and challenges and motivates members to try out new things – it could be learning a language, playing a musical instrument, running a marathon, camping in the wilds or volunteering overseas. It is flexible and participants can take their chosen activities as far as they wish, from taster level all the way to gaining a qualification that is recognised outside guiding. Read more about the Look Wider Programme. There are many international opportunities open to members of The Senior Section. They range from attending guiding events abroad to volunteering on community projects in developing countries. Members can also take part in our successful peer education programme. Young women can become Peer Educators trained to run sessions on issues that affect girls and young women such as binge drinking, bullying, stress management and sexual health. It is also possible to become part of the Duke of Edinburugh Award Scheme, with our specialist Adviser. Within GLK we are lucky enough to be part of the Jack Petchey Award Scheme, which allows Senior Section Members to be nominated by their peer group in recognition of a personal achievement. All successful recipients of the award receive £200 to spend with their Senior Section friends and the honour of attending an Award Ceremony with The Mayor. Ranger units around the County have enjoyed many varied days/nights out including the London Aquarium, the West End show Charlie and the Chocolate Factory, many trips to various restaurants of course and so the list goes on…. If you want to continue your Guiding journey after Guides, or start a new journey as a young adult in Guiding please register your interest in joining The Senior Section here.